Now that you have passed your ZLA Basic Written Test and your clearance delivery test, you have now been assigned operating initials and can request training. Before you request training though, this guide will help you to come to the session prepared in order to not waste any time and help you spend more time working aircraft. The first thing that you'll need to do is donwload Teamspeak, a program used by ZLA controllers to communicate off frequency. It is free to download and install (Teamspeak Downloads). Once installed, you'll need the server connection details, found here: ZLA Teamspeak Info. Your nickname will be in this format: FirstName Lastname (Operationg Initials). Example: John Smith (JS). Feel free to log on at anytime and chat with other ZLA controllers. After you have reviewed the SOPs and LOAs, you will need to download and install VRC, which can be downloaded here. After the installation, look through the VRC Documentation to setup as an observer. Considering you have been assigned operating initials as a ZLA controller, your callsign will be as follows: ZLA_OperatingIntials_OBS (i.e: ZLA_ZZ_OBS). Lastly, you'll want to setup and configure your microphone and speakers as well as your comms panel (specific directions on this can be found in the VRC documentation). Once you have done that, you will know if you have successfully set everything up if you can check the RX and HDST box next to a position that is being manned and can hear people talking. If there is no one controlling those positions, then you will not hear anyone. And of course, you must be logged on with your OBS call sign. 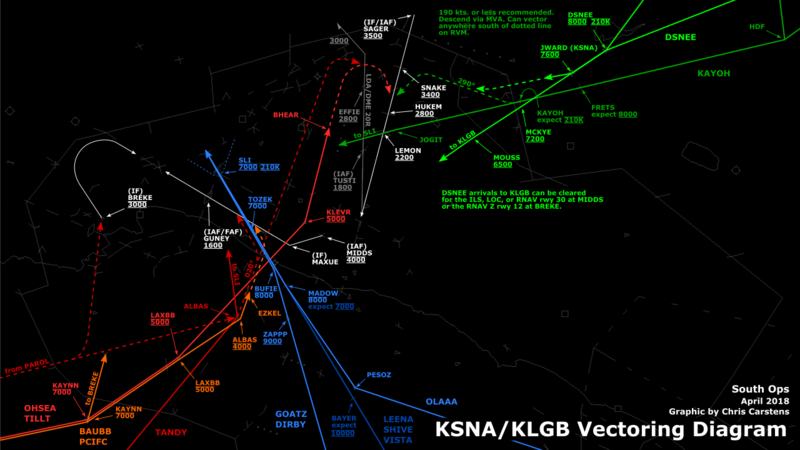 VATSIM has strict regulations concerning visibility ranges when controlling. The maximum for delivery or ground positions is 20 nm. You will want to set this when you first logon to the position. For any ground positions in ZLA, you do not need to have a visibility range set higher then 10 nm. During your session, you might also encounter text only pilots. VRC has a great tool to help you respond to those pilots in a quick fashion. If you practice these before your first session, you will already be ahead of the ballgame. .can - can you accept? These aliases take some getting used to. Above, the period at the beginning with the letters directly after it is the actual command you type in. The phrase after the space is what the dot command will spit out. The $ signs are variables meaning, if you want to use the .tx command to taxi an aircraft to a runway, you must input what runway they are to taxi to. So, you would type ".tx 24L" without the quotes to taxi an aircraft to 24L. Another helpful one is the clearance delivery alias. The one above only works if the pilot has filed a good flight plan with a SID and transition. Say a pilot filed LOOP6 DAG CLARR2 to KLAS and he's text only. Open his flight plan, assign him a squawk, verify his cruise altitude for direction of flight is correct, then at the bottom of VRC, type ".cdt LOOP6 DAG .calt 1w" without the quotes. Now, this will spit out the entire clearance on text. Note that 1w at the end of what you are to type in. This is the departure controller. 1W is the code for LAX_APP and 20 is the code for LAX_CTR. Type in the correct code in that spot depending on who the departure controller is. The controller codes can be found to the left of the controller callsign in the Controllers & Chat window. The only way to learn these is to play around with them. You can practice with them in a private message to nobody by typing ".chat nobody" without the quotes and hit enter. This will literally bring up a chat window to nobody. Here you can test your aliases in private and get used to them. See a mentor or instructor if you have trouble with these. 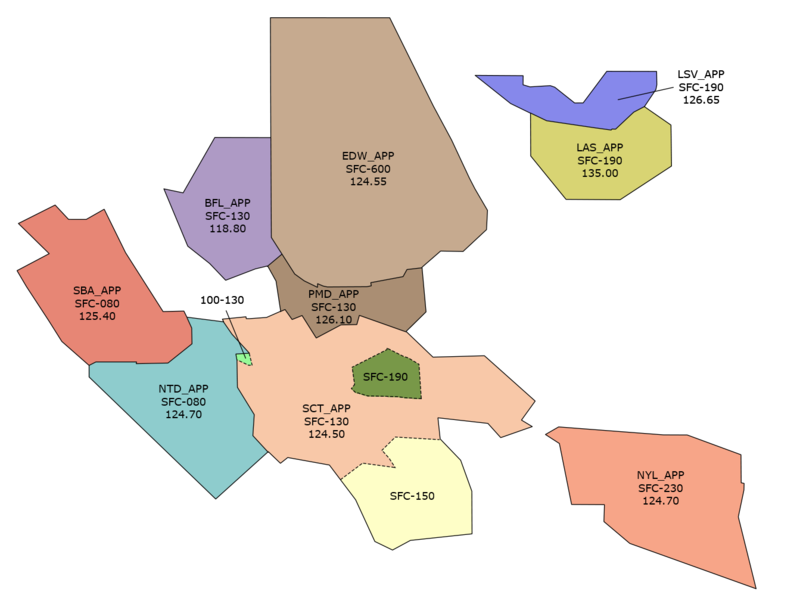 TEC Routes Being in Southern California, the FAA has devised Tower Enroute Control routes, or TEC routes, in order to increase the efficient flow of aircraft throughout the busy SOCAL airspace. When an aircraft flies between two airports that have a TEC route, they must fly that TEC route. It is the controllerâ€™s responsibility to ensure they have the correct route. 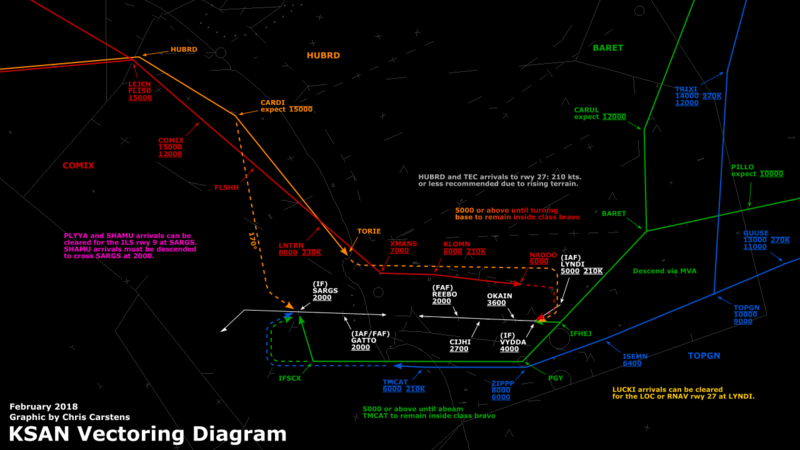 Luckily, the ZLA alias file for VRC contains all the TEC routes to ensure a quick route change if necessary. To use this feature, first, ensure you have the aircraft selected (the plane is yellow on your screen). Second, open up the flight strip. Third, in the command line (again verifying that the aircraft you are dealing with is listed to the left), type .laxn11 (or the appropriate TEC route number) and press enter. This will modify the flight strip to the correct route for the next controller. This will not modify the other boxes on top. Those must be reviewed and corrected as needed. This is a must! If you do not know the TEC route by heart, you can either look it up on the ZLA website, or, following the same steps above, instead type .laxsanj. This will produce the same route. The top boxes of the flight strip must still be reviewed. You can do this with every TEC type of aircraft by replacing the last letter with the correct type of aircraft. Remember, J = Jet, M = Turboprop + 190 knots, P = propeller aircraft + 190 knots, Q = Propeller aircraft - 189 knots. So, if an EMB120 was flying KLAX to KSAN, you would type .laxsanm. If it comes back and does not change anything, then there is not a TEC route. 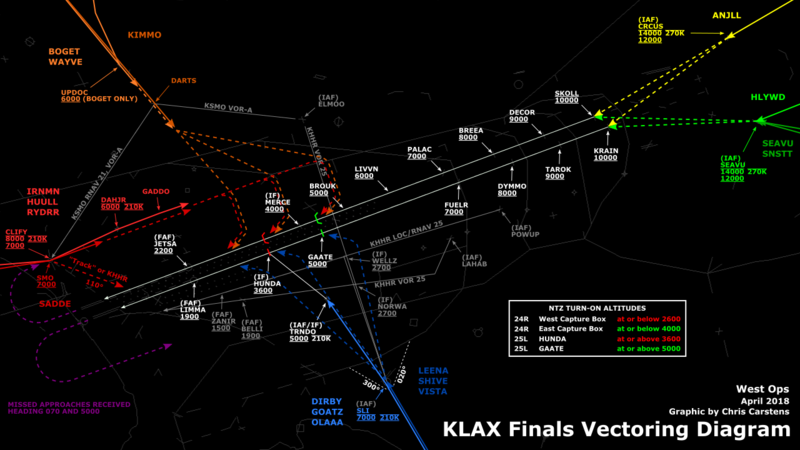 This is common with KLAX-KPSP. Of note, you cannot practice this on your OBS account, but if you know the process before logging on, you will be able to work TEC routes faster. Pilot Certifications Finally, the Los Angeles ARTCC has made available a voluntary testing and training program for VATSIM pilots to help improve their skills. The certifications represent a formal attempt to help pilots improve their flying abilities in a more structured setting as well as a fun environment. From simple VFR pattern work to advanced IFR ARC Approaches, these 14 certs test pilot skills and teach them a lot about advanced flying too. You as a controller MUST register here. If a pilot ever requests to do an certification exam, this is what they are referring to. The exams are called the V-1, V-2, V-3, and I-1, I-2, I-3, I-4, and so on all the way to the I-11. In order for the pilot to complete the cert, they must have full ATC the entire flight. When a pilot requests a specific exam, go to the http://www.pilotcerts.laartcc.org site, click "ratings" on the left and click the appropriate rating that the pilot requests. Then evaluate what controller(s) must be on for this rating (note: if LAX_CTR is online, any rating may be completed since CTR covers everything). Then, verify with the correct controller(s) that they are able to accommodate such rating and if so, approve the rating to the pilot and get him on his way like you would with any other flight. However, remember to pass on the information that the pilot is doing a pilot cert rating to the next controller. It is the last controller's job who controls the arrival airport to enter in the pass/fail. 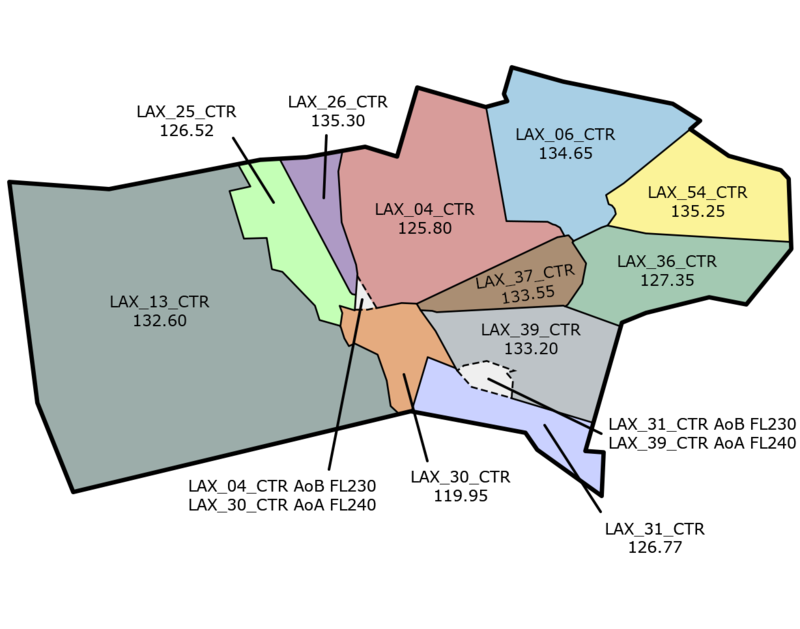 Because of this, you could potentially have to enter in the pass/fail for the V-3 rating that ends at KLAX or the I-9 that also ends at KLAX. If this is the case, another controller should PM you the information about the pilot's attempt at the cert (whether he passed or failed). Then, log in here and hit "Sumbit Rating" on the left. Enter in the pilot's information as needed (you may PM him if you have a question about his info) then hit submit at the bottom. Let me know if you have any questions regarding this whole process. Visit the main site: here for more details about the program including how you can join it as a pilot on the network. Conclusion During your first session, you will be on the live network talking to real pilots. Review the STM once over before the session paying attention to clearances and ground phraseology and you will be all set. Again, welcome to ZLA and the training staff looks forward to working with you on the scopes!